Many describe the unique, interdenominational Taize Service as “spiritual, not religious”. Maybe because it is simply 45 quiet minutes of prayer, reflection, meditation and music. Come to this beautiful service on Sunday, July 29, 2018 at 7 pm at New Life. It is open to anyone wanting to experience the presence of God in a very personal way. Learn more here about the Taize Community in France. It draws youth (and some adults) from around the world each year to worship and learn. Both Catholic and Protestant brothers lead the Taize Community, in one of the most celebrated examples of global Christian unity. 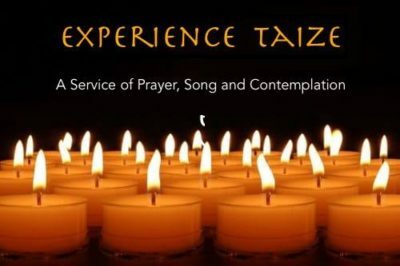 The Taize experience is a perfect way to connect with God for those who want to explore or develop their spirituality without the traditions of any one Christian denomination. Please join us for this very special spiritual experience.